As one of the leading fitness facilities in Missouri, Club Fitness has made its name in the industry through their core principle of “Encouraging, Educating, and Motivating”. With branches at St. Louis and other nearby locations, Club Fitness provides state-of-the-art facilities with friendly personnel, all at a price that can be afforded by everyone. 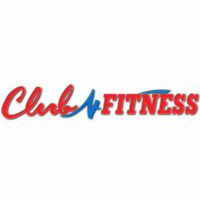 Club Fitness was originally established in 1992 in St. Louis. From the very start, they were all about providing an affordable, friendly, fun, and welcoming fitness environment. They made this concept possible by creating an environment that encourages, educates, and motivates clients. This approach pushed members to achieve their fitness goals and stick to wellness. Club Fitness has remained steadfast in maintaining a great gym community. People of all fitness levels are welcome here. The company is also committed to local charities and community projects. Club Fitness branches are open 7 days a week, but there are other branches which are open 24 hours a day. This ensures that all members can get their workout anytime they want. The main benefit of joining Club Fitness is their unique approach to fitness. After all, anyone deserves a fitness community that motivates them to get fit and stay on track. Beyond the community, you will also get to use state-of-the-art facilities and trainers who will help you maximize their use, and push you when it comes to the workouts you’ll be doing. Club Fitness also offers all kinds of programs designed for people of different fitness levels and goals. Leading these programs is a group of trained professionals. Personal trainers are available depending on the type of membership you pick. Getting their full plan (more on their membership plans later) gives you unlimited access to personal training sessions. Club Fitness has garnered a lot of positive reviews from satisfied customers. They have plenty of great features and services that keeps their members loyal. The gym itself is spacious and you can do just about any routine that you like. There are a variety of machines and equipment you can use to complete your workouts. They also have other services that fitness buffs will love. They have massage areas, a tanning station, a kids club, and a nutrition plan all customized for every individual. The staff has earned the reputation of being a happy and courteous bunch. They are willing and able to help clients for any kind of concern. Club Fitness accepts people from all walks of life and all fitness levels. From highly-fit individuals to people aiming to get in shape, you will receive a warm welcome. There are 3 types of memberships in Club Fitness, with each varying in coverage. These are the Basic Plan, the Rapid Results Plan, and the Full Plan. The all-inclusive Full Plan, providing unlimited club access, personal training sessions, and all other services, costs $379. This one-time fee is good for 18 months. Guest privileges are available for members who subscribe to the Full Plan and the Rapid Results Plan. Combine this with their reasonable prices, and you get an awesome deal. They also have a “Family Add On” program. This program means that their spouse or child, who is under 21 years old, can receive a full membership plan at a discounted price. Club Fitness takes pride in providing the best workout experience for their clients. Their reputation is established in maintaining the latest and best gym equipment, properly maintained for your satisfaction. There are multiple classes available that will help all individuals accomplish their fitness goals. Whether you are a beginner or a longtime fitness enthusiast, you can find a class that’s right for you. The trainers and staff are also very accommodating, ready to assist you at a moment’s notice. They also offer personalized service that attends to each client’s particular needs. Club Fitness is still looking for ways to improve their services. For instance, they just introduced their own mobile app that allow clients to register in classes, join challenges, earn bonuses, and more. For more information on Club Fitness membership and cost, visit official site .